This year’s ACL Festival was a whirlwind, and we were so grateful to be able to participate in the inaugural ACL Cares Academy! We asked Johnny Goudie to interview two of our favorite local artists on this year’s lineup. During Weekend 1, Johnny sat down with guitar queen Jackie Venson after she tore up the Tito’s stage that Saturday. They discussed her journey to ACL Festival, her release strategy (one single a month in 2018!) and her international touring schedule. 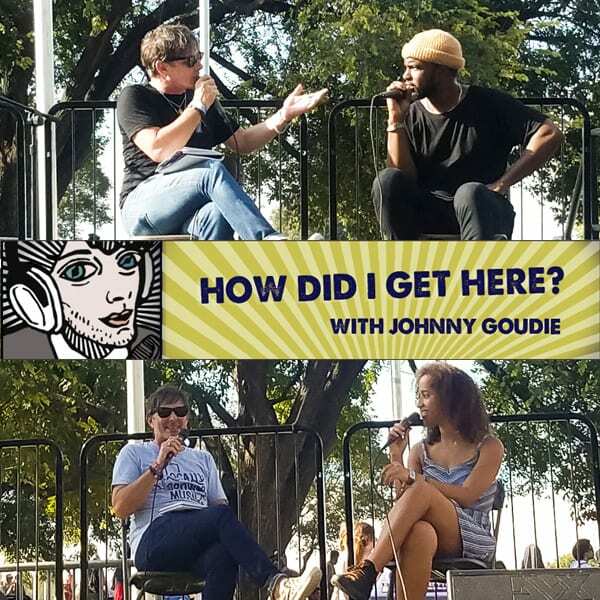 Weekend 2 featured hip hop hero Kydd Jones, after his groundbreaking performance on the Barton Springs stage, and the two discussed the state of Austin hip-hop, where to find the best local rappers and his long-time collaborators, the LNS Crew. We would like to thank to Johnny for being such a good spokesperson for our organization, to Jackie & Kydd for taking time out of their busy schedules to chat with us, and to Einar Pedersen for his help producing the show. Thank you also to C3 for organizing the series and giving us a platform to showcase Austin musicians. You can listen to the full podcast here. It is also available on Spotify, Apple Podcasts, iTunes and wherever you listen to podcasts.